There are 9 planets in the birth chart. They have different subject matters. Jupiter is the responsible for the birth of child. Jupiter is the factor in birth chart for the birth of child. If Jupiter is weak then one cannot get happiness from the child. You can also worship your main planet as well as Jupiter to get child. Jupiter is the form of and idol and as an idol we can worship Sai Baba. It will get benefits. Santan sukh ke liye sai baba ki pooja kare. sai baba denge santan sukh. If Jupiter is weak or Rahu has more effect in birth chart then you may have problem of getting child. Also if there is Chandal Dosh or Nadi dosh in birth chart then also you may have problem of getting child. If one has cut the green trees or they may have disrespect the elders then also they may have problem of getting child. If sunlight does not come in proper way then one have problem of getting child. Also if you have some debt then also you face this problem. Due to weak Jupiter person’s ritual is also weak. They face problems of getting knowledge and money. They do not get support from elders in their family. Their digestion would be disturbed. They may have obesity. They cannot concentrate on ritual activities. You can worship Sai Baba as an idol. By worshiping you will get rid of your every problem. Jupiter becomes strong by worshiping Sai Baba. Problems relating to getting child can be solved. You will get good child. Bring leg mark of Sai Baba at your home or you can go to temple. You can offer yellow flower’s mala to the Sai Baba. After doing this you have to bend in front of Sai Baba and put your wishes. You have to donate bananas to the poor. You have to do this for 5 Thursdays. You have to take bath in the morning and decide for worship. You can get more benefits by wearing yellow clothes during worship. 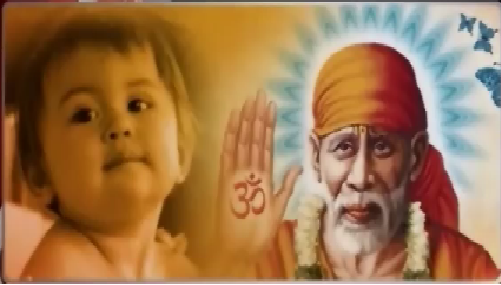 You can establish the picture of Sai Baba or you can go to temple. You have to offer yellow flowers to Sai Baba. You can dainty of jaggery and chana. You have to do light of ghee in front of Sai Baba. You have to do Sai Charita or Sai Mantra. You have to take 9 rounds of Sai Baba. You have also worship Sai Baba in the evening; do Aarti and dainty Halwa Puri. You have to remember Sai Baba while worshiping and repeat your desires. You have to do bend against Sai Baba. You have to light sandal’s agarbatti at the place of Dhuni. You have to do this for 5 Thursdays. You can do “Om Shri Sai Yogakeshmvahay Namah”. You have to complete 5 Thursdays. You have to offer yellow clothes and fruits to the Sai Baba. In dainty you can do Halwa and Puri. You have to do Sai Charita or Sai Mantra. You have to invite children at your home and give food and gift to them. You have to keep the yellow clothe which you offer to the Sai Baba.